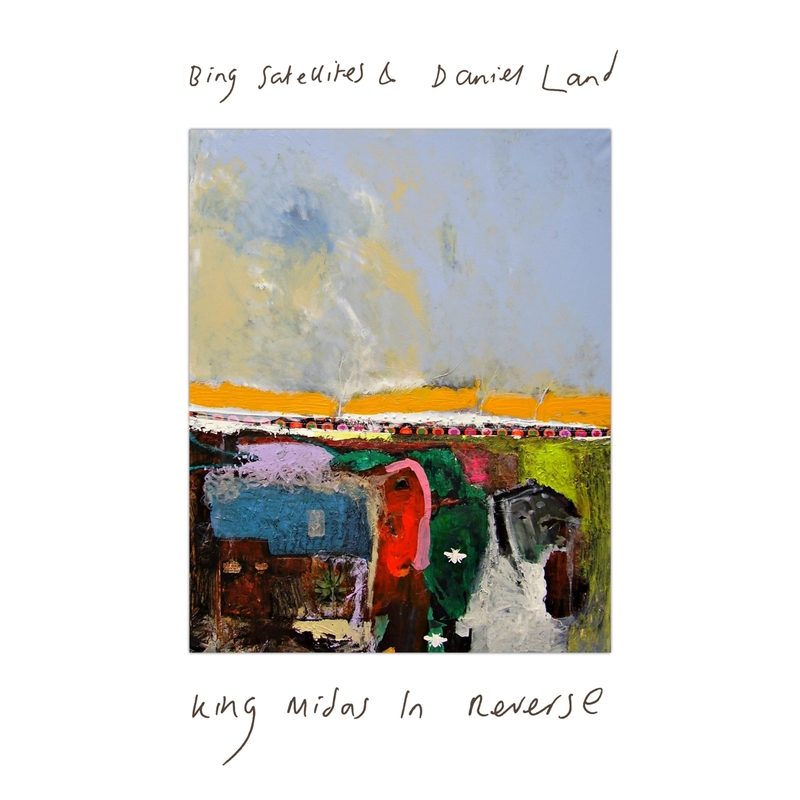 Bing Satellites and Daniel Land - King Midas In Reverse - BFW recordings netlabel - ambient shoegaze indie experimental electronica - music is free! The new album of quiet, beautiful songs performed on piano and guitar by prolific ambient composer Bing Satellites and Engineers/Modern Painters main man Daniel Land. Although both have worked together in the past (Bing has played on songs by Daniel's previous band Daniel Land & The Modern Painters, as well as part of the live version of Daniel's ambient project riverrun), this is the first full collaboration between the two. The finale of a riverrun concert in Manchester included a grainy ambient guitar played over a treated piano track. The pair decided there should be more of this sort of thing. The album features the stunning artwork of abstract painter Ade Hodges. You can find more of his artwork at www.facebook.com/adehodgesartist. Daniel Land is currently working on his new solo album. Formerly the front man and chief songwriter of the shoegaze inspired band Daniel Land & The Modern Painters, Daniel has played guitar in The Steals and plays bass in dream pop supergroup Engineers alongside Mark Peters and Ulrich Schnauss. Under his own name, he has released quiet piano music on BFW and on CD. Daniel also creates dark, atmospheric ambient music uncer the name riverrun.